White privilege exists. The Eurocentric patriarchy that divided the fairer skinned human beings from the darker skinned for over 400 years is still in place. The fact that I am a black female automatically places me at a disadvantage from achieving any power or status. Any glory that I receive in life will be the product of tireless hardwork and good graces from the universe. The current infrastructure in place keeps those who are in positions powers where they are while the disenfranchised members of society continue to go hungry, defeated, and dependent on aid. This is just the way our capitlalist society works. It’s existence is what Dear White People attempts to critique by pushing the issues into the face of its audiences. Whether it actually says something is another story. First time writer-director Justin Simien sets the stage for a hosts of rants and critiques against not only white society, but all of those in the mainstream, at a fictional Ivy League school, Winchester University. There, colored faces are peppered among a white student body. 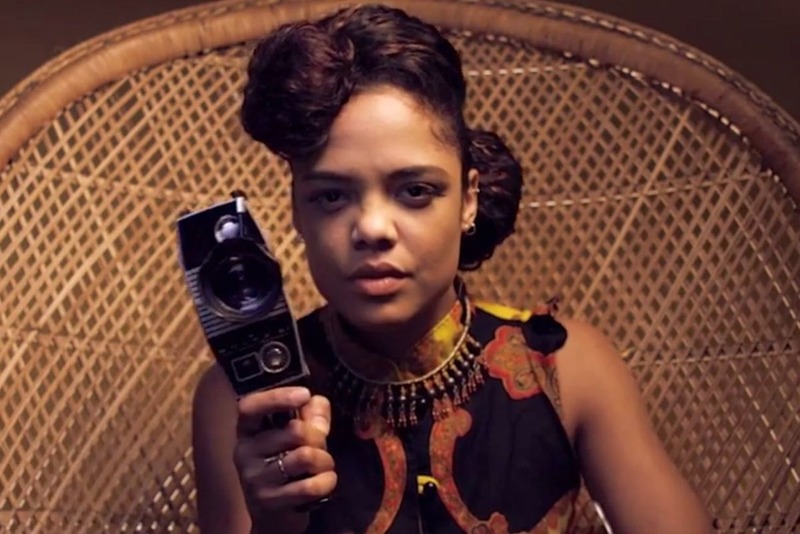 From the mouth of Sam (Tessa Thompson), a light-skinned militant who hosts her own radio broadcast show titled “Dear White People,” we hear commentary and guidelines delivered to the whites of Winchester: stop dancing, dating black men to piss off your parents is racist, having your weed dealer be your only black friend doesn’t make you tolerant, etc,. When Sam isn’t regulating proper social cues to whites, she’s shocking her fellow peers with subversive short films in class and pamphlets on how to stay black among a sea of white faces. Sam’s already controversial radio show spawns haters, even more so when she runs for student body president against Troy (Brandon Bell), the handsome son of the Dean of Human Resources (Dennis Haysbert). 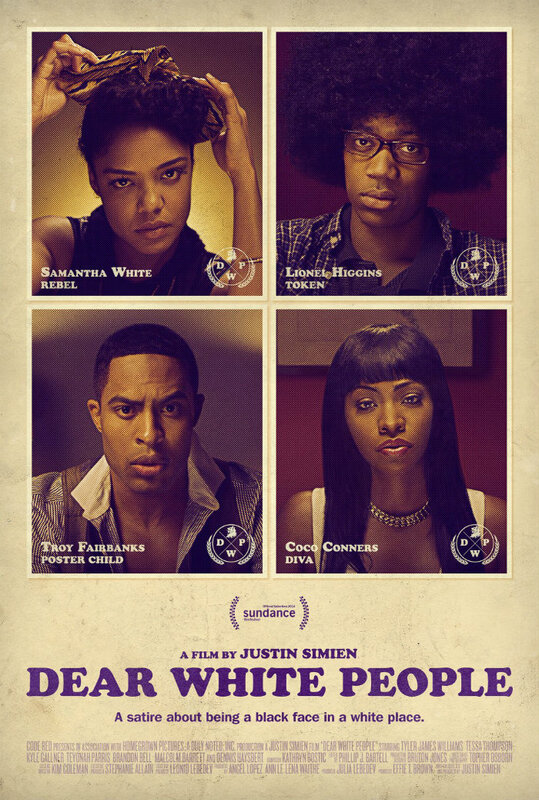 We also experience a racial identity crisis through the eyes of Lionel (Tyler James Williams), an awkward fro-sporting writer who hasn’t found the right crew yet; and Coco (Teyonah Parris), a resident of Chicago’s Southside attempting to find fame through a burgeoning reality show being cast on campus. Coco proudly maintains her straight weave and longs for the comfortable acceptance that comes with being white almost more than she craves her 15 minutes of fame. Dear White People could have been an impressive powerhouse of a film that breaks the mold and shapes the thoughts of its viewers. It tries really hard to do so and that perseverance is its most admirable quality. Yet, it’s plot alone makes it easy to see why Dear White People falls from any potential grace it could have possessed. It’s scatterbrained focus leads to an array of arguments that ultimately cause Dear White People to lose sight of its own intentions and come off as muddled and incoherent. Dear White People feels like a freshman attempt. Characters and their actions are convenient for the sake of plot advancement and situations arise unexpectedly without proper explanation to the fast paced story to flow fluidly. Dear White People intends to say something important, and generally speaking it does. I truly respect its gumption and determination. It’s a film that questions the stereotypes of black character’s portrayals on screen: the tragic mulatto, the mandingo, the Uncle Tom. Dear White People lays out controversial topics like affirmative action and welfare for audiences to mull over, while also presenting arguments all along the spectrum over race. The beauty of Dear White People is the conversations that are encouraged after its powerful ending credits. There’s an immeasurable depth of discourse to have regardless if you don’t agree with or understand much of the film’s positions. 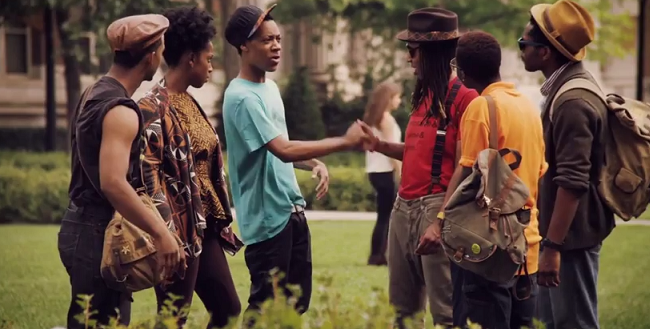 Dear White People mixes elements of Spike Lee’s School Daze, Bamboozeled, and Do The Right Thing to tell its story. Unfortunately, Simien lacks the technical dexterity to make his message subversive and coherent. Simien’s vision is clunky and awkwardly pieced together making much of the film hard to get behind. Shots are poorly edited together and character placement within frames are unintentionally off-kilter. Oddly enough, Simien offers no new alternative to the stock images of blacks on screen that he scrutinizes and critiques. Sam as the tragic mulatto does not evolve past her stereotypical confusion. She ends the film by ultimately accepting her role as “tragic.” Troy does nothing to reappropriate his mandingo status as he disses a character he just previously slept with for social status. The Uncle Tom presented as The Dean continues to let economic and unequal racial power control his life. All the other black characters featured are shoved into place as background ornaments that do nothing more than give disapproving looks to others. Dear White People slowly hums along bringing nothing more than slight giggles and interesting concepts to the table. I really wanted to like Dear White People more than I actually did, but after a while the film starts to feel as though Simien just threw a bunch of his ideas to the wall to see which ones would stick. Dear White People does nothing different from its contemporaries and at times feels like it’s only an exploitation of the current hot topic of race in the media. I respect its intentions, but the execution weak and it’s message weaker. TOSS UP. Not the funniest, or smartest, or even most controversial film you’ll see this year, but it’s bound to spark some kind of intellectual debate among peers.